This Electric Powered Ride on Cart is designed for hauling, dumping and moving around materials with minimal to no effort. 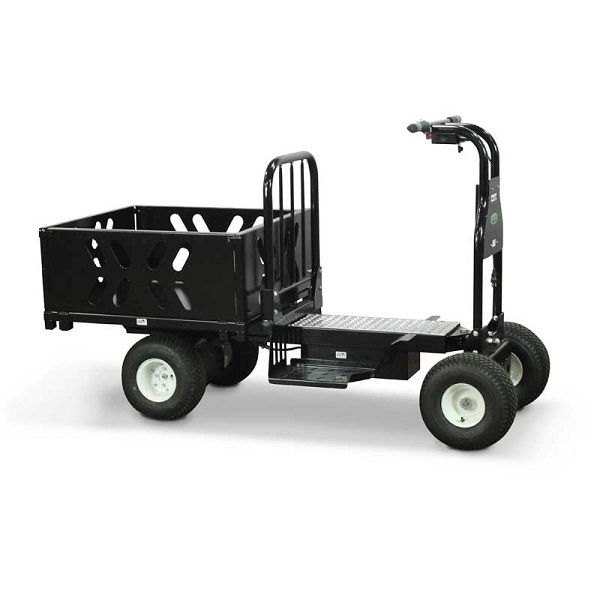 It has a platform made for the user to stand on and also provides the user ease and convenience while operating the cart and carrying loads reaching up to 400 lbs. 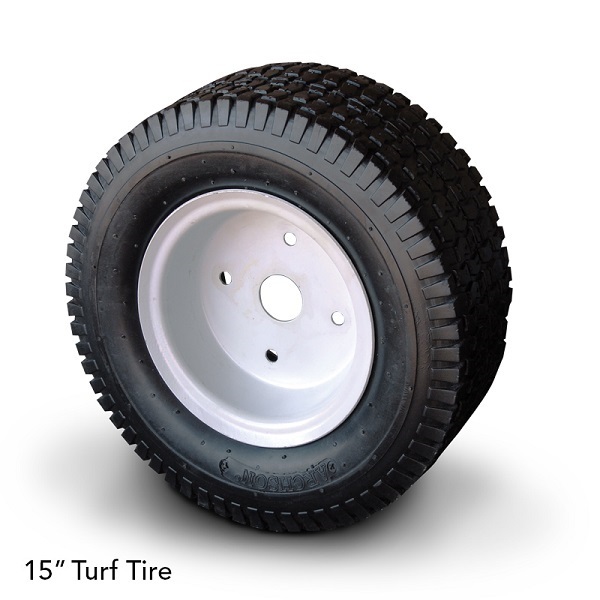 It has a four 15” turf tires, two front drive wheels and 2 rear flat free swivel wheels, that perform well on all terrains and surfaces whether it’s on a flat surface or an incline, we ensure you maximum safety when loading or unloading the power cart. It also has a 10 cubic feet utility hopper attachment made out of steel that allows the user to carry loads in a more controlled space to prevent the materials being carried from falling off. This makes it perfect for any applications such as landscaping, gardening, farms, carrying sacks and many more. With this product, transporting and dumping materials will no longer be a problem or a hassle. 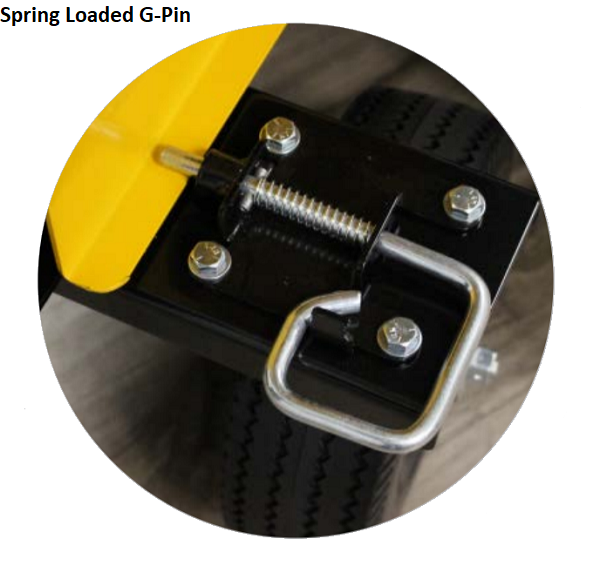 Simply pull out the spring loaded G-Pin on the side of the cart and tip the hopper forward. Be sure to lock it back in place after the hopper has been dumped. With its numerous safety features and top tier build quality and design, we guarantee great durability as well as safety for both user and the materials being carried. The electric powered cart is also flexible enough to rotate a full 360 degrees making it easy to move around even on narrow areas. HillSense feature that allows the user to control the speed of the cart at all times, whether on an incline or decline. This also prevents rolling on inclines and keeps the cart locked in while being loaded. No maintenance required and also has no emissions and creates no noise when operated. 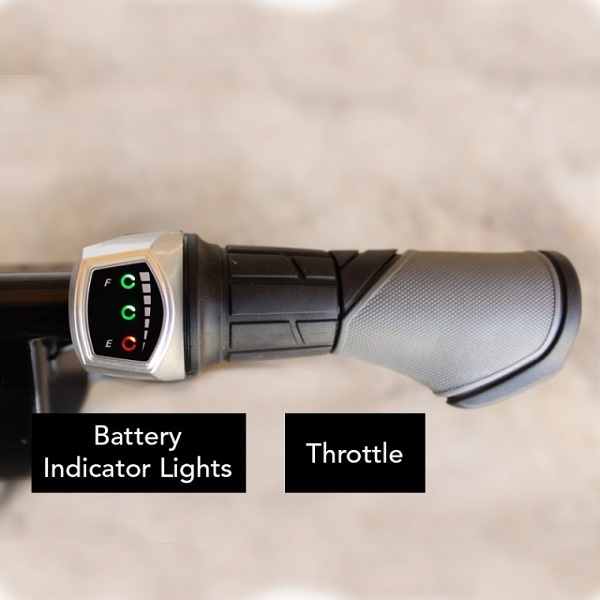 The throttle is variable based on user input, this allows for complete control of the cart. The cart also pivots in a 360 degree circle without power being applied, this makes maneuvering in tight spaces a breeze. Made in the USA from high strength steel. Gears are enclosed for maximum safety and durability. 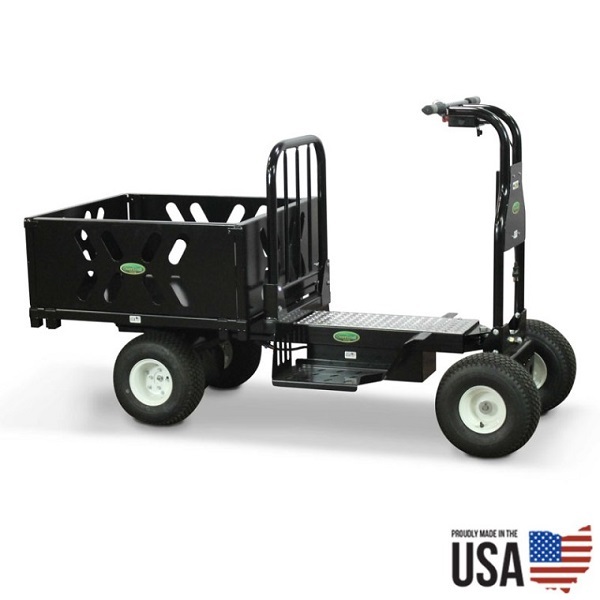 Overland carts are built to be user friendly, including the removal of different components. 3) Make sure the black toggle switch to the left of the On/Off switch is in the forward position. Grasp the throttle and rotate it backwards towards you to start the cart moving. 4) The more you turn the throttle, the faster the cart goes. 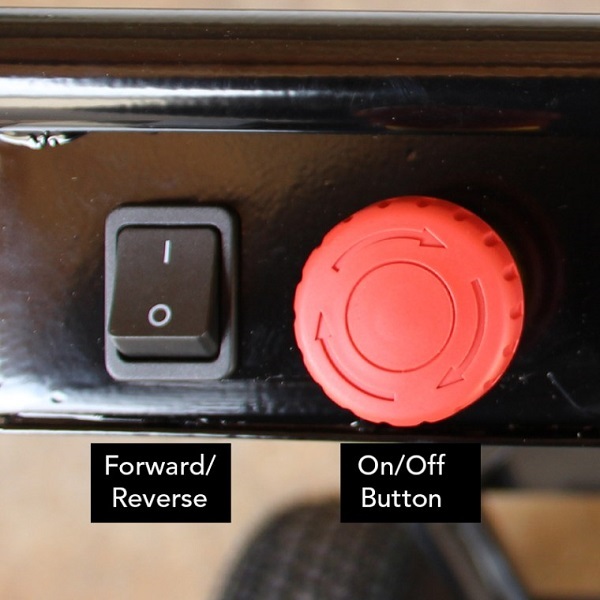 5) If you want the cart in reverse, just toggle the black switch to the reverse position. 6) It’s preferable to let the batteries charge overnight by plugging the cart into a 110V outlet.